There's something transformative going on in the streets, no doubt, and Soviet kinetic-kino pioneer Dziga Vertov might have liked the film's ethos of a nation on the move. Strikingly gorgeous... Revelatory, an admirably formal presentation of the baseline texture of contemporary Beijing. It's not just valuable for the record, it's elegant in the process. Shadowing the ups and bunny-hill downs of three cabbies, Wang's documentary will entreat loads of audiences to get first hand-to-mouth evidence that a nation's prosperity doesn't turn every bean into magical stalk. 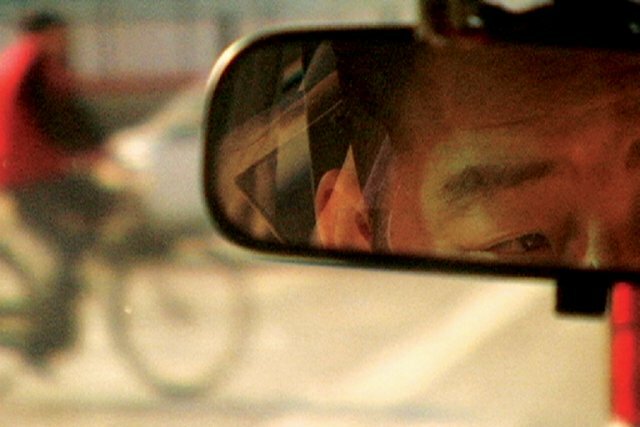 The characters in the film are reality-television compelling, and Wang... matches an outsiders fascination about everything with an emigrant's appreciation for what Beijing is leaving behind in their embrace of modernity.